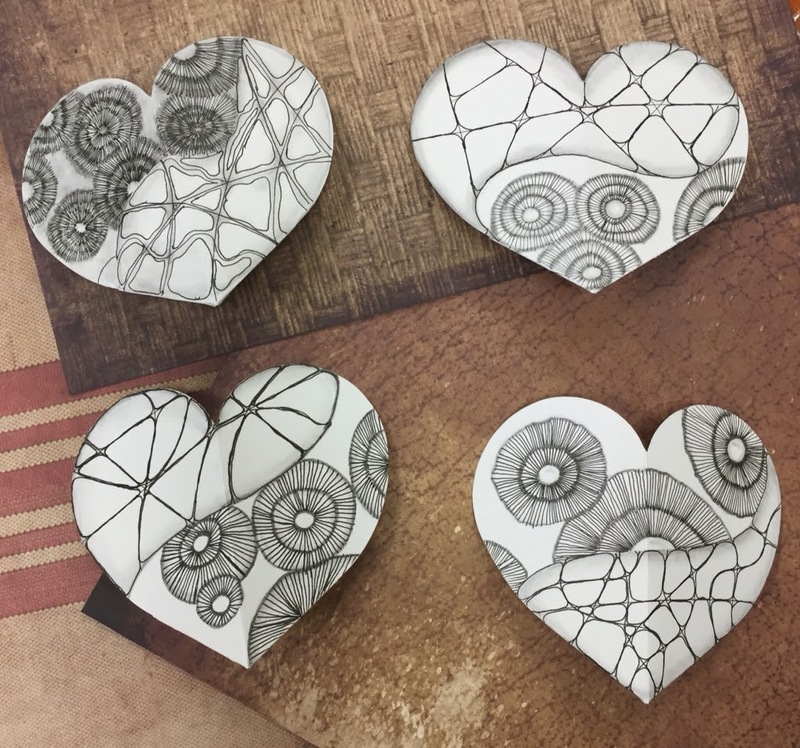 This is the prototype 3D Valentine for my ZIA (Zentangle® Inspired Art) class. 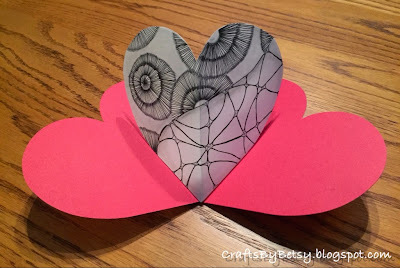 I cut red and white die cuts using the Sizzix 3D Heart Card designed by Karen Burniston. We tangled last week's Diva Challenge (#203) tangle, Athitzi by Seven and the Zentangle pattern, 'Nzeppel. Nice of The Diva to make Valentangle this week's challenge (#204). This second photo was taken pre-assembly. I only had 3 students so I included my "tile" as well. I'm proud to say you can't tell my tile from my students'! they are all so nice. i use to enjoy to work with small classes, make shure that everybody get the message. Beautiful card and student work! These are cool … beautiful work by all! These hearts are so very pretty!! !